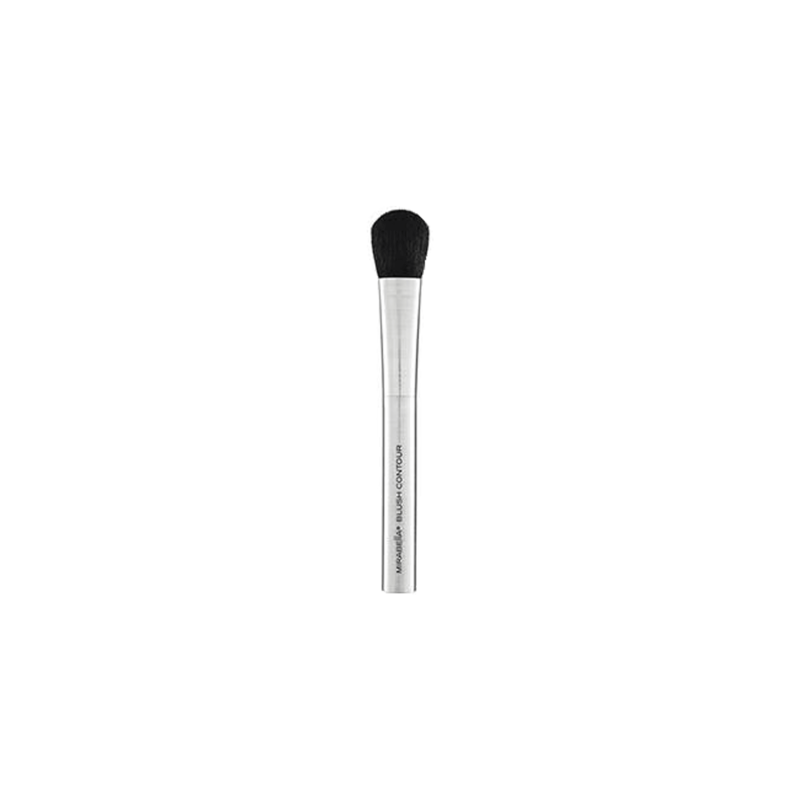 Full luxurious blush brush diffuses color for natural contouring and sculpting of cheeks. Mirabella hand-sculpted brushes are made with the finest quality materials and feature exclusive brushed aluminum ferrules and handles. Adding just the right glow to the cheeks just isn’t easy with small blush applicators that lack the ability to deliver one-swipe perfection. Get that color right the first time with our Blush Contour Brush. Our hand-sculpted luxury brush is made of the finest materials, providing a soft touch as it flawlessly applies color to the cheeks. Designed especially to deliver effortless application, this perfectly sized tool features brushed aluminum ferrules and handle. With its soft bristles, wide spread and rounded end, applying any of our Blush Colour Duo combinations becomes a breeze. Just swipe on our mineral-based blusher in a single stroke, painting from the cheek’s apple toward the ears. The end result is a flawless contour that blends beautifully with foundation and powder to produce a radiant glow that lasts. For a flawless all-over look start out with our stunning Skin Tint Cream to Powder foundation that hydrates the skin while nourishing it. This light, natural coverage evens out skin tones as it transforms from create into a silky, translucent powder. Should luxurious full coverage be preferred, Mirabella’s mineral-based, water-gel Skin Tint Crème won’t disappoint. Available in 14 shades to suit all skin tones, this formula glides on smooth and dries quickly, providing the perfect base for any blush. Creating head-turning looks at home or on the go has never been easier. Just explore Mirabella’s entire product line for just the right colors and tools to craft your own flawless style.